There is no difference in installing Maven on Windows7, Windows 8, Windows 8.1 or Windows 10, you can follow the same steps to install Maven in any version Windows operating system. 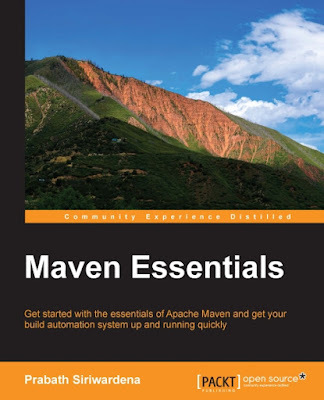 Installing Maven is very easy, just download the Apache Maven ZIP file from Apache Maven Project website (https://maven.apache.org/download.cgi). You can download the apache-maven-3.3.9-bin.zip for using Maven in your 64-bit Windows machine. Remember, Maven 3.3 requires JDK 1.7 or above to run, so make sure you already installed JDK 7 or JDK8. Once you download the binary distribution of Maven, half of the job is down. Now, you only need to extract the binary distribution and add the bin folder in PATH or add a couple of environment variable e.g. M2, M2_HOME into your Windows machine. 1) Make sure JDK is already installed. You need JDK 1.7 or above to run Maven 3.3. If you don't know how to install Java, see this guide for step by step tutorial. 2) Make sure that JAVA_HOME environment variable is defined and should point to the installation directory of Java. Maven uses this environment variable to find the Java installation directory. See here to learn more about JAVA_HOME environment variable. I am using Cygwin that's why I am using the export command if you are using DOS command prompt then you should use the "set" command version shown below. Though simply adding the bin directory of Maven installation folder to PATH is enough to run the "mvn" command, it's better to define well-known maven environment variables like M2_HOME and MAVEN_OPTS. The M2_HOME is equivalent to JAVA_HOME and should point to the installation directory of Maven. On the other hand, MAVEN_OPTS is used by Maven script to fetch additional JVM arguments provided by the user. You can use this environment variable to increase the heap size of Maven by supplying JVM memory arguments e.g. -Xms and -Xmx. You can also read Maven Essentials to learn more about how Maven uses these environment variables. You can see that it prints the Apache Maven version, along with Maven home, Java version, Java home and OS name. At this point of time installation of Apache Maven is completed successfully and you are now ready to create and build Maven based Java project using different arch types. You can also use this locally installed Maven in eclipse instead of the default one installed by M2Eclipse plugin. Why to bother installing Maven, when we can use newer technology - Gradle? IMO it's better and offer better tools and utilities for building applications. Maven sounds so old and one idea better than Ant plus Ivy. What is the reason people still using it? Hello @Chris, I agree that Gradle is out there but many projects still uses Maven. It's more Maven than Gradle in professional world. If you don't know Maven, then you will struggle to work with team.